Roof maintenance and roof repair can seem very complex to home owners. You may see a leak coming through your ceiling fan, but you can’t find the source of it even when you get on your roof and inside your attic to look around. You may think it’s time for a new roof because it’s been many years since the last re-roofing, but you have no idea how to tell for sure. We have a major leakage problem and are getting a new roof. What is the best underlayment to protect the valleys in my roof from leaking? Here are some of the most common roofing questions our customers have! The best underlayment is one that is made of polyethylene and rubberized asphalt so that it can protect against both ice and water. Even if moisture seeps under the shingles or tiles, the underlayment will prevent it from seeping into your ceiling and causing a leak. Roof valleys should also be covered with metal flashing. A second layer of underlayment should also be added to the lower section of roof and around openings such as the chimney and dormers. Felt paper is laid on the roof under the asphalt shingles to protect the wood underneath. Moisture can condense under the shingles and slowly erode the wood decking over time, rotting it and spreading mold. If enough water condenses, a leak can even form. The felt paper absorbs that moisture so that it never comes in contact with the wood. Sky lights and roof windows, also sometimes called sky windows, are almost the same. Both are used to let more light into a room and to offer ventilation. Sky lights are typically smaller than roof windows, and they can either open or be fixed closed. Roof windows, on the other hand, are typically larger and have a sash that can open for ventilation or access through the roof. The sash usually can be flipped for easy cleaning. Roof emergencies happen at the most inconvenient of times. A limb might create a hole in your roof at 3 a.m. when you can’t get a hold of a roofer. If a major storm has passed through the area, you may find that you are fighting with other home owners to get a roofer to your home. The best way to protect your roof until you can get it repaired is to cover it with a woven plastic tarp. Wrap the end of the tarp around a piece of wood, and screw the wood to the underside of the eaves on either side of the damage. 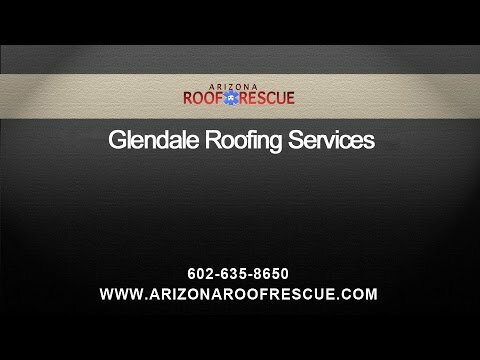 Arizona Roof Rescue provides emergency roof repair, as well as routine roof maintenance. We can help you understand the best way to take care of your roof and extend its life. Call us today to develop a maintenance plan for your roof or to get the Glendale roof repair you need.